Tracey Garvis Graves joins us today for our Ten Questions interview series. She is a New York Times, Wall Street Journal, and USA Today bestselling author. Her debut novel, On the Island, spent 9 weeks on the New York Times bestseller list, has been translated into twenty-seven languages, and is in development with MGM and Temple Hill Productions for a feature film. I was so excited when Tracey agreed to participate in our interview! I was introduced to Tracey when members of my online book club raved about On the Island. So much that I finally caved and read the book. It is not a decision that I regret 🙂 On the Island was a feel good, intense romance. It certainly had my heart aflutter although I didn’t expect to connect to the main characters. Tracey took two unlikely characters and made their romance believable. 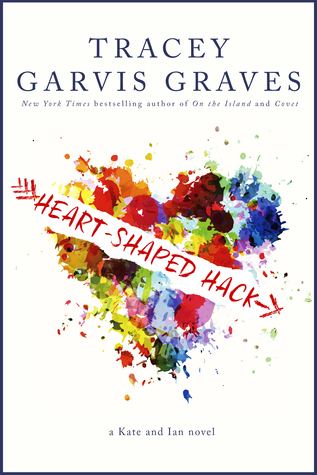 Each of Ms. Garvis Graves’ subsequent books has been just as good. If you enjoy a romance, then Tracey is for you. Her latest, Heart-Shaped Hack (Kate and Ian #1) is available now. TGG: Fester or moist. I can hardly type them. TGG: Creatively, I’m most inspired when I’m writing the story I want to read, regardless of whether or not there’s a market for it. TGG: On the Island. All the research I did might actually keep me alive. But if I could bring two, I’d also bring Stephen King’s The Stand. Tracey, THANK YOU for joining us for Ten Questions! Find out more about Tracey on her website or on Facebook.